Inspiration comes from a lot of places. Sometimes it is a basket of fresh fruit, sometimes it is a picture, and sometimes it is a television show. Last week, while watching Gordon Ramsay’s The F Word, inspiration struck in the form of an apple tart. Gordon baked sliced apples on a round of puff pastry, then when it was finished he bruléed sugar on the top and it looked divine! I decided to try something similar. I started by making a very flaky crust. For this recipe I made a slightly modified version of blitz puff pastry. Blitz is a kind of puff pastry that incorporates large pieces of butter into the dough which is rolled and folded like traditional puff pastry. 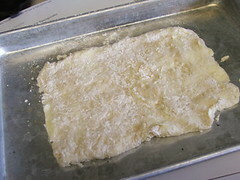 As the dough is rolled out, folded over itself, and turned the butter flattens out and acts in a similar way to the butter block in the traditional version. It does not get quite as puffed as regular puff pastry, but it has lots of layers, gets lovely and crisp, and is perfect for tarts and turnovers where height is of little importance. I modified the traditional blitz recipe by doing a less complicated fold with each turn. Normally you would roll the dough into a rectangle, then you would fold the right and left sides into the center so the edges meet, then you would fold that in half along the center seam, then turn so the long side is horizontal. With my modification there are not as many layers because I folded the dough into thirds, but I needed to work quickly because in the Summer my kitchen is hot and cold butter is key here. I topped the pastry with thin sliced apples, dusted those with cinnamon and sugar, and baked it until golden brown and flaky. Once out of the oven I sprinkled it with additional sugar and took my torch to it. 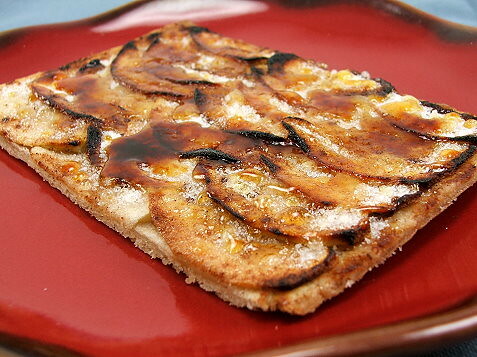 It is sweet, make no mistake, but not tooth achingly so because the apples were tangy enough to cut it. 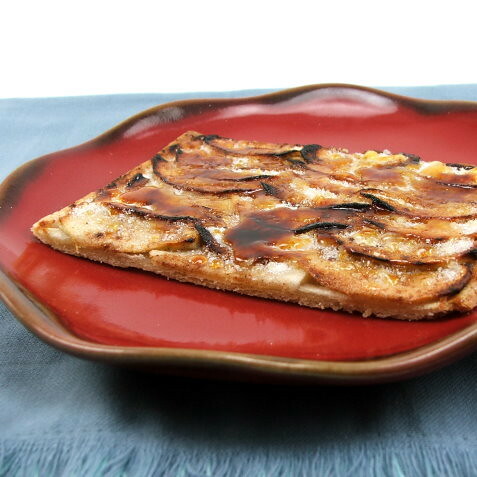 The apples get slightly charred around the edges while the sugar melts under the torch but the are not bitter. 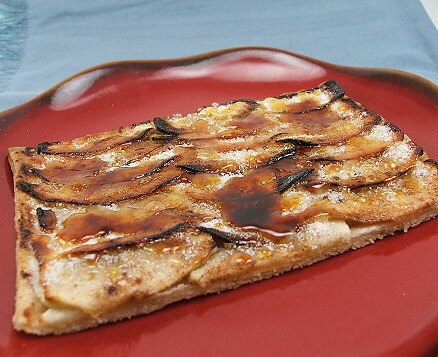 Crispy crust, soft apples, crunchy sugar … I’d say overall, it is a fun dessert that will impress dinner guests. 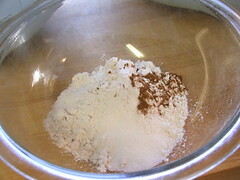 In a bowl combine the flour, sugar, salt, and cinnamon. Mix well. 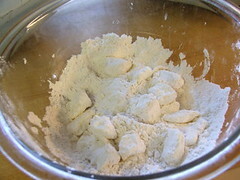 Rub the butter into the flour, leaving the butter in very large pieces, about pecan size. Add the ice water and mix until the dry ingredients are moist. Turn out on a floured board and press into a square. Roll out as best as you can, it will look very shaggy and messy, and fold the right third into the center, then fold the left third over. Wrap in plastic and chill for thirty minutes. 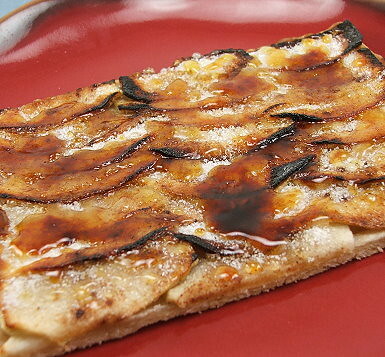 Once chilled place the dough on your board with the long side facing horizontally. 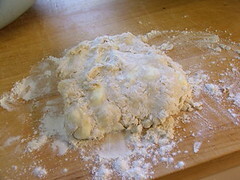 Roll the dough out until it is 1/4″ thick and repeat the three-fold above. Chill. Repeat this process two more times. Chill the pastry for thirty minutes more before rolling out. 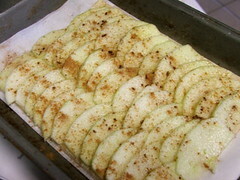 Heat your oven to 425F and line a quarter sheet pan with parchment paper. Roll out the pastry until it is very thin, about 1/8″. Using a pizza cutter or a sharp knife, cut the edges of the pastry so they are not ragged. Peel the apples and slice them thin. 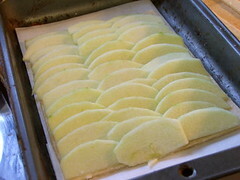 Arrange the apple slices on the pastry. Sprinkle with one tablespoon of sugar and cinnamon. Bake for 50 to 60 minutes. After the first thirty minutes turn the oven down to 375 F and bake until the apples are soft and the bottom of the tart is golden brown. Once the tart has cooled slightly sprinkle the remaining sugar evenly over the top of the tart. Using a torch melt the sugar over the tart. 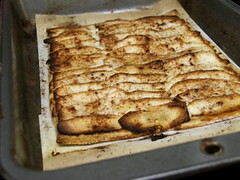 If you do not have a torch place the sugared tart under a heated broiler. Watch it carefully as it can burn easily.